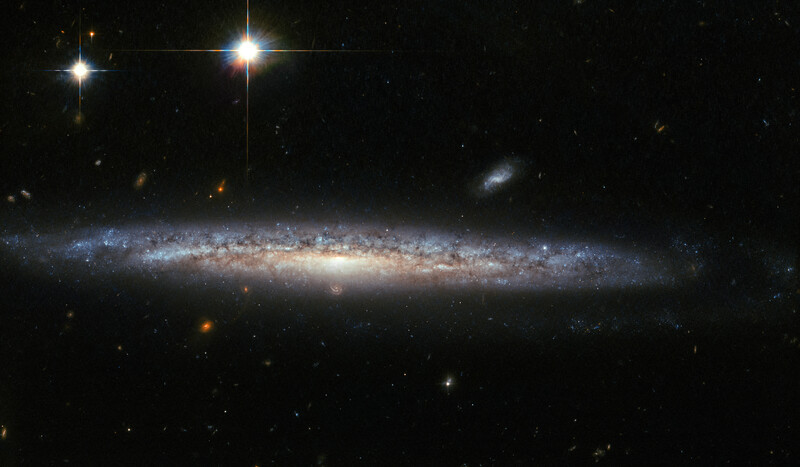 This image, captured by the Advanced Camera for Surveys (ACS) on the NASA/ESA Hubble Space Telescope, shows the spiral galaxy NGC 5714, about 130 million light-years away in the constellation of Boötes (the Herdsman). 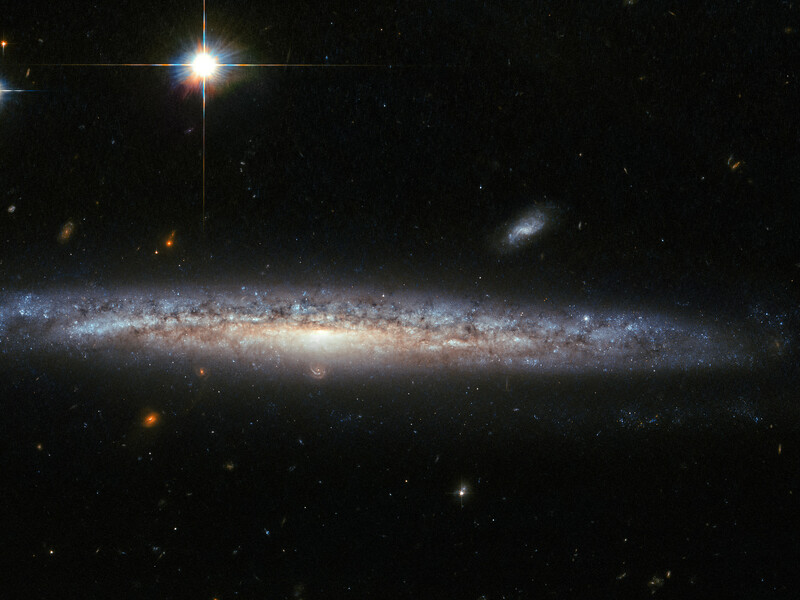 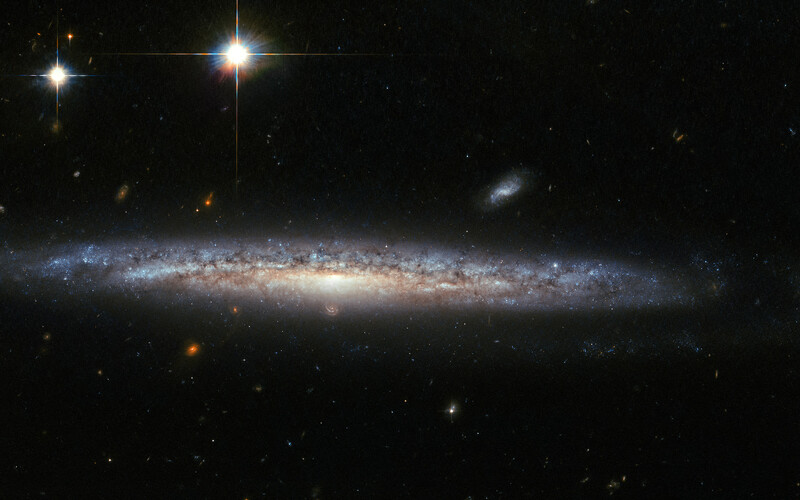 NGC 5714 is classified as a Sc spiral galaxy, but its spiral arms — the dominating feature of spiral galaxies — are almost impossible to see, as NGC 5714 presents itself at an almost perfectly edge-on angle. Position (Dec): 46° 38' 22.57"